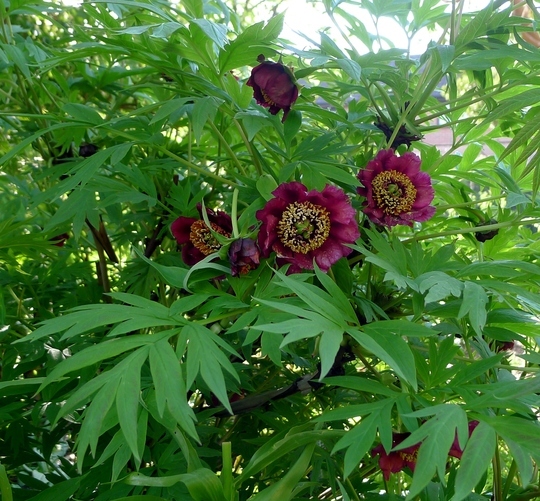 The peony is planted next to an evergreen magnolia which drops some of its leathery leaves all season, smothering anything underneath. But this is still a good space for some spring colour, mimicking conditions of deciduous woodland where many of the early flowering plants grow. 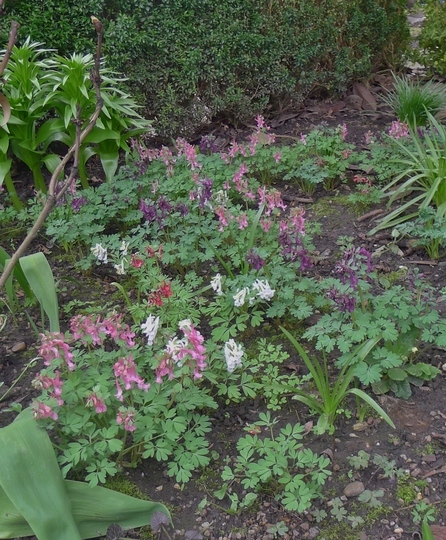 As corydalis solida seems to like my garden, with seedlings popping up here and there, I decided it would be a good place to plant a colony of them. what a lovely tribute to your late mum. the tree paoeny is stunning. I love corydalis. Do you have or want any C chelianthifolia? it has a soft buttery yellow flower[not as harsh as C lutea] and its foliage is evergreen except in the harshest frosts. I have several seedlings and small plants available if you do. What a stunning Paeonie and memento for you of your mum. The lovely colours of the Corydalis goes well with the Paeonie.